Fiesta by the Sea inspired Mexican Ceviche. 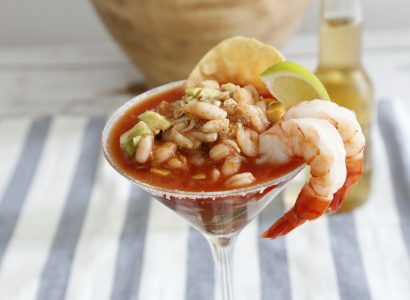 This seafood cocktail combines your favorite fish. It’s simple, gourmet and lite. It’s a snap to make.